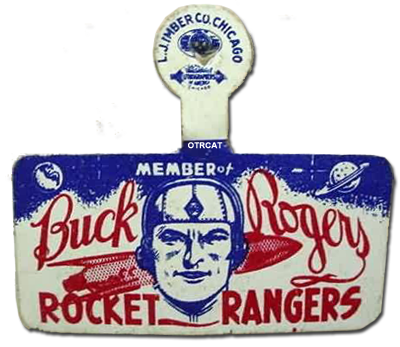 Buck Rogers was a comic strip that appeared in the America's newspapers, so it was a natural for radio action, too. 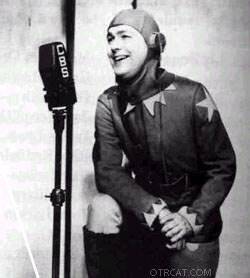 It had several time slots and sponsors on radio during the 1930s, and the shows from 1938-39, running on Mutual, re-tell our hero's beginnings to get us kids ready for action as Buck blasts off on more exciting space adventures in the incredible future of the 25th Century. 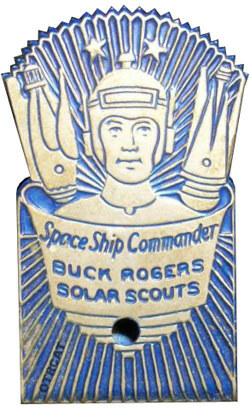 After his 1930s adventures, Buck Rogers was "lost in space" until a return to Earth radio in 1947. Many actors played the parts throughout the decades. 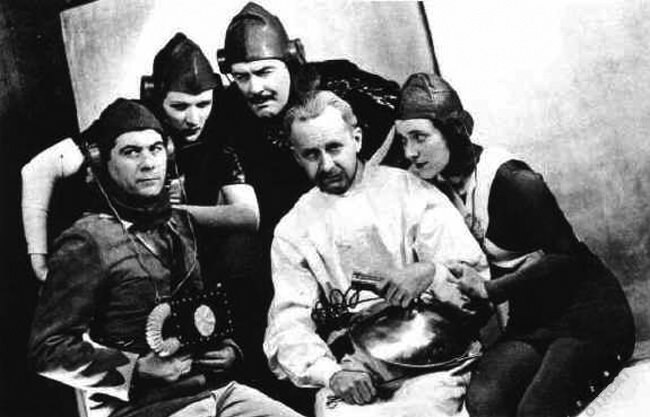 Buck Rogers was a man of our time who got trapped in a cave-in in an abandoned mine, and was subjected to a mysterious gas that held him in suspended animation until he was discovered in the 25th century. He was resusitated by the good inventor and scientist Dr. Huer. The Doctor had an assistant who was a Lieutenant in the Space Corp, Wilma Deering. Buck catches on to the marvelous inventions and ways of the future, and sets off on adventures against space baddies with the help of Wilma and other space friends such as Black Barney, a dense Martian pirate turned sometimes sidekick. Buck and his friends from the future battle evil forces led by Killer Kane and Ardala Valmar, who like to steal new technology and generally work at getting themselves a piece of the action, regardless of the means. In the 25th Century, dedication to the work at hand was still a hallmark of the successful, whether good or evil.